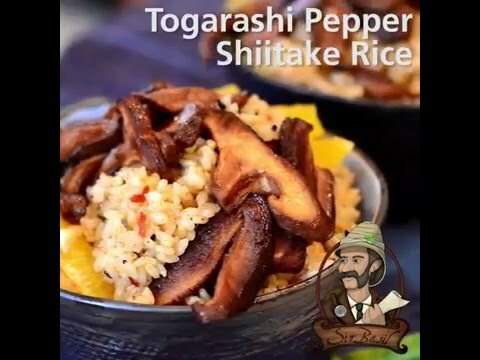 The renowned Japanese pepper blend, TSTE® Togarashi Pepper Spice Blend, adds a flavorful and peppery zing to these shiitake rice bowls! COMBINE TSTE® Togarashi Pepper Spice Blend, TSTE® Ginger Sugar, and TSTE® Soy Sauce Powder with rice vinegar and sesame oil; let flavors bloom about 15 mins. SAUTÉ shiitake mushrooms in butter and TSTE® Organic Extra Virgin Olive Oil over medium-high heat until golden brown and soft. ADD soy sauce and balsamic vinegar and toss; as soon as balsamic begins to glaze mushrooms remove from heat. Keep warm. COMBINE the sushi rice with the prepared vinaigrette. Divide between bowls. Top with mushrooms and orange segments.